3.6 Notwithstanding Section 3.5, you may redistribute our newsletters and promotions in print and electronic form to any person. 11.2 You can let us know through our contact form. 21.1 These terms and conditions shall be governed by and construed in accordance with Singapore law. 21.2 Any disputes relating to these terms and conditions shall be subject to the non-exclusive jurisdiction of the courts of Singapore. 23.2 We are registered in Singapore under registration number 53343395M and our registered office is at 679B Jurong West Central 1, #14-02, Singapore 640679. 23.3 Our principal place of business is at 679B Jurong West Central 1, #14-02, Singapore 640679. 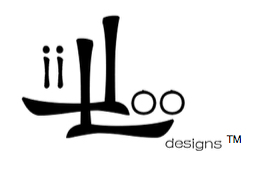 23.4 You can contact us, by using our website contact form or by email to liiloo@liiloodesigns.com.